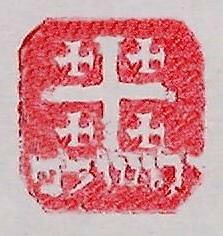 A stamp on which letters and a device are carved for the purpose of making an impression, and also the wax or paper on which the impression is made. Many old Masonic Diplomas and Charters are still in existence, where the seal consists of a circular tin box filled with wax, on which the seal is impressed, the box being attached by a ribbon to the parchment. But now the seal is placed generally on a piece of circular foil or paper with an adhesive backing. 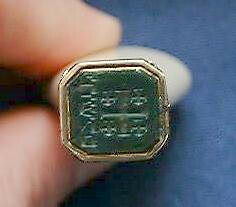 The Seal of the Lodge is almost always kept by the Secretary.